We often get asked which would be the best earplugs for me? This is a tricky question for us & can often be difficult to answer because no two individuals are the same. What a boring old world it would be if we were right! We often get asked which would be the best earplugs for me? This is a tricky question for us & can often be difficult to answer because no two individuals are the same. What a boring old world it would be if we were right! Earplugs come in many different styles (expandable foam, shaped silicone, musician style, custom fitted and even electronic earplugs). Each style of ear plug has been designed to filter out a certain level of noise/sound, this level is measured in decibels. When choosing a pair of earplugs it is important that you take particular notice of the NRR. (Noise Reduction Rating) The NRR is an indication of the amount of hearing protection that it will give. Quite simply, when choosing ear plugs, we suggest you go for quality, comfort and effectiveness. Sometimes it takes a bit of trial and error to work out which ear plugs best suit you and your needs. We offer a large variety of ear plugs to suit all people and all applications. There ear plugs for sleeping, swimming, studying, flying, dentists, shooting,working, musicians, children and more. Macks Ear Pugs have been committed to supplying the highest quality, hearing protection, sleep aids, and swimmer’s ear prevention products at the best possible value since for over 50 years! We are proud to a part of their team in offering a full range of earplug styles for sleeping, swimming, bathing, snoring, music, shooting, traveling, loud noise, and flying discomfort. Our Dreamgirl and Slimfit are ideal for people with smaller ear canals (men and women alike). For this reason, we mostly find the the Dreamgirl’s and Slimfit are to be the most popular and comfortable amongst women. Having said that, some men and teenage boys can also have smaller ear canals. That is why we suggest you try a few different pairs to see which ones are the best fit for you. The Ultra’s and the Originals continue to be the favourite ear plugs for the majority of a male customers who are looking to block out noise for sleep an work. Ultra Soft and Originals are favoured by the gents looking to block out noise for a wide range of applications. 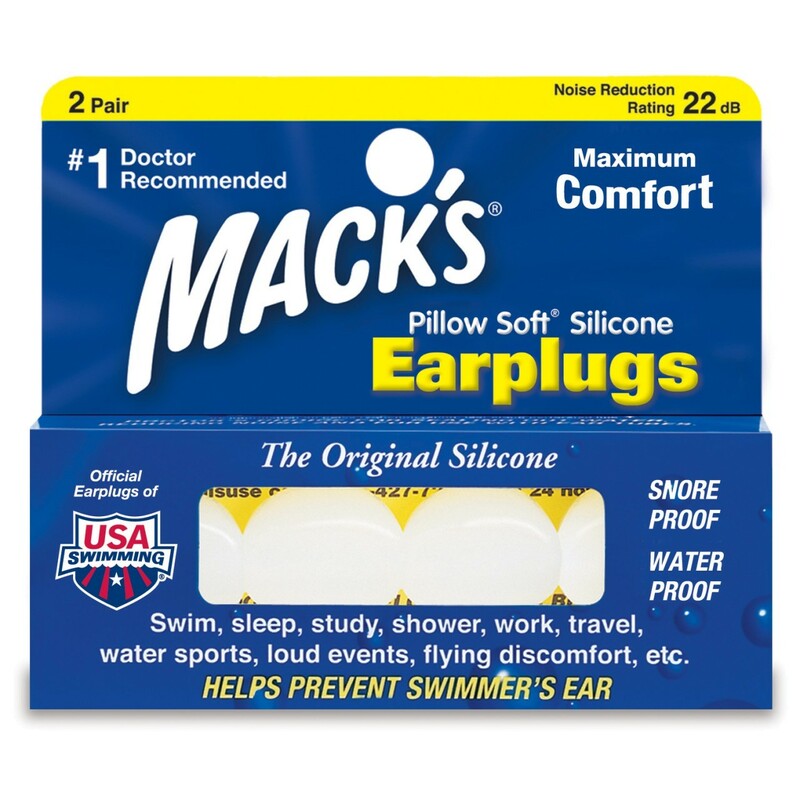 Macks Silicone Ear Plugs are our number one best seller for swimming and water sports. Made of a soft silicone putty, they are favoured by both men and women of all ages for their extreme comfort. They sit securely in the ear as they easily mold to the shape of the ear canal and opening. They are aptly named “pillow Soft”and frequently double as an alternative to soft foam ear plugs and worn commonly for sleeping and other sound blocking events. 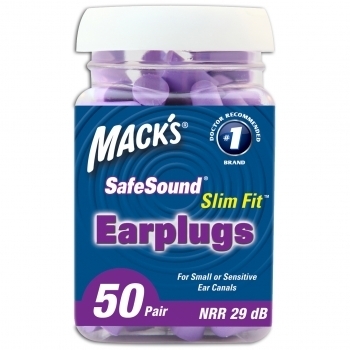 Our customers have told us that the cheaper, wax type ear plugs, that they have tried in the past are no comparison to Macks Pillow Soft Silicone Ear Plugs. The Aquablocks are the most wanted reusable ear plug for swimming, surfing, boating and any occasion where you require water being blocked from your ears. 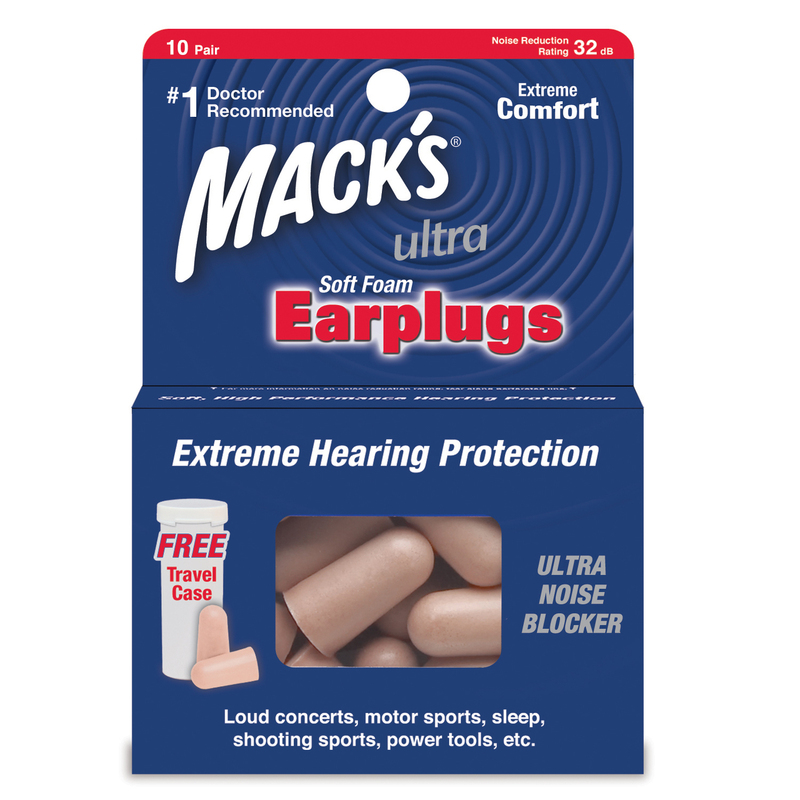 The Best of the Best EARPLUGS are now together in a convenient sample pack. Over the years we’ve learnt different customers prefer different earplugs and there is no right or wrong when selecting which ones you like best. Now you too can easily, and cost effectively, try a variety of our top selling earplugs from our popular assortment packs to find your favourite. Our ear canals, just like our fingerprints, are quite unique & individual. Additionally, we all have different reasons for wearing earplugs. Whether it be to block out noise from power tools, motor sports, shooting sports, concerts, loud events or snoring! Earplugs are designed & manufactured with these different requirements in mind & the best way to find which earplugs best suit your needs is simply to try them. 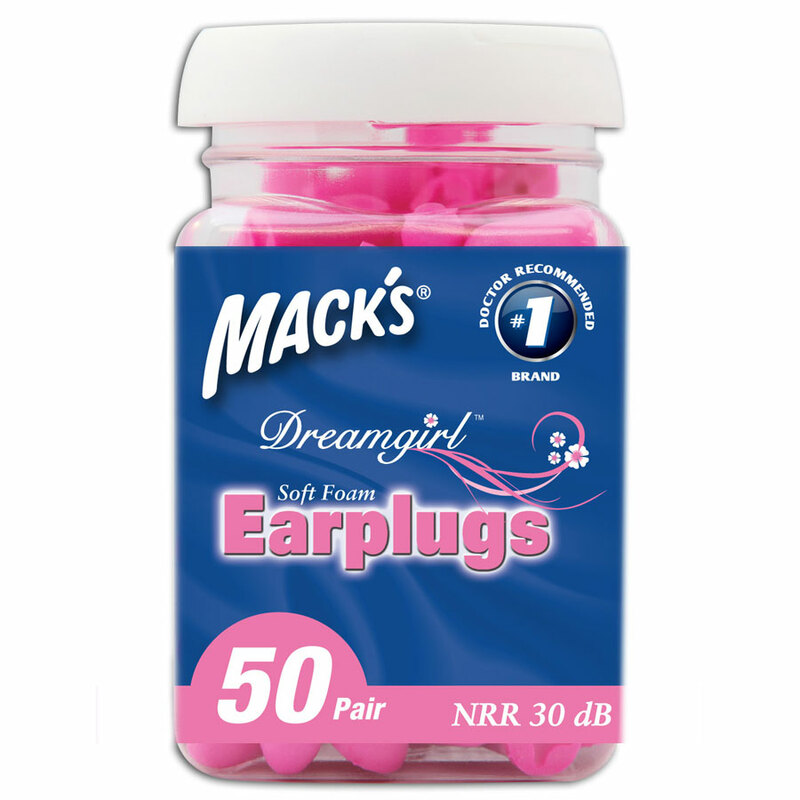 PLEASE NOTE – Ear Plugs in variety packs may vary from time to time depending on stock on hand at the time of ordering. 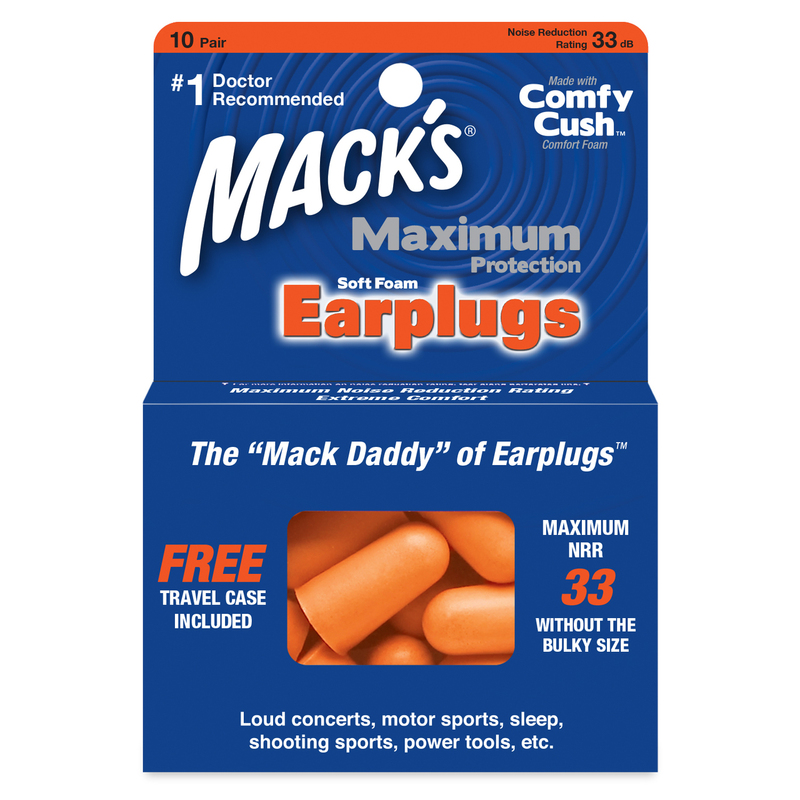 All ear plugs provided will be Macks Quality Disposable Ear Plugs. Can I choose which ear plugs I receive? For sure! Just simply let us know what your preference is for the soft foam earplugs and we will do our best to accommodate your request. 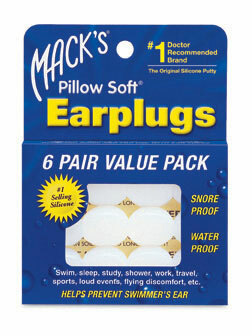 Earplugs are very commonly used to block out the sound of a partners snoring. A person snoring generally produces a sound level between 50db (being for a light snorer) to 80db (for a heavy snorer). Most snorers register between 50 – 70 db. The sound of a petrol lawnmower would be equivalent to 80 – 90db. With this in mind, it is no wonder we find it difficult to sleep soundly with a snoring partner. 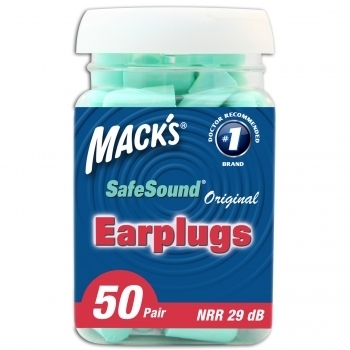 When you wear a pair of 32 NRR Ear Plugs such as Macks Snore Blockers, the sound level of snoring, based on the above levels is reduced between 18db to 48db. 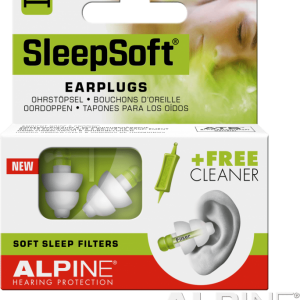 Ear plugs are designed to successfully reduce the amount of harmful noise to enter your ears, this making your surroundings more tolerable to help promoting a good nights sleep. 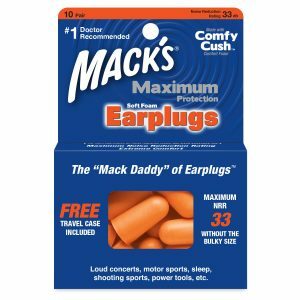 Are there Ear Plugs that can TOTALLY block out ALL Noise? Currently the highest Noise Reduction Rating (NRR) being offered by an earplug is around 32dB. This means that any noise up to that ear plugs NRR will be blocked completely and any noise over this level may still be heard. Earplugs are designed to lessen the severity of noise and bring it down to a more tolerable and safer level. 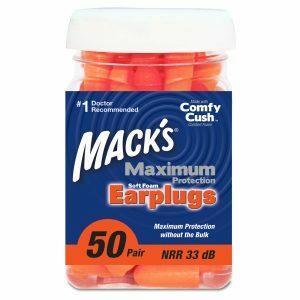 Is there a right way to insert Ear Plugs? I can not stress enough the importance of properly inserted ear plug. If foam earplugs are inserted only half way you are receiving only half of the benefit and this may be a good reason. Often people tell us they have not had success with noise blocking in the past with other brands…and bad fitting. I personally count 5-10 seconds when”anchoring” a foam earplug into the ear canal to make sure the expansion of the foam earplug is securely in place inside the canal. After rolling the foam earplug and inserting it inside the ear canal, use your finger to keep the earplug in place so it expands completely inside of the canal. 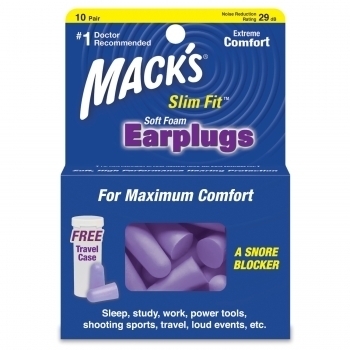 Mack snoozers are the chuck Norris of the ear plug world! 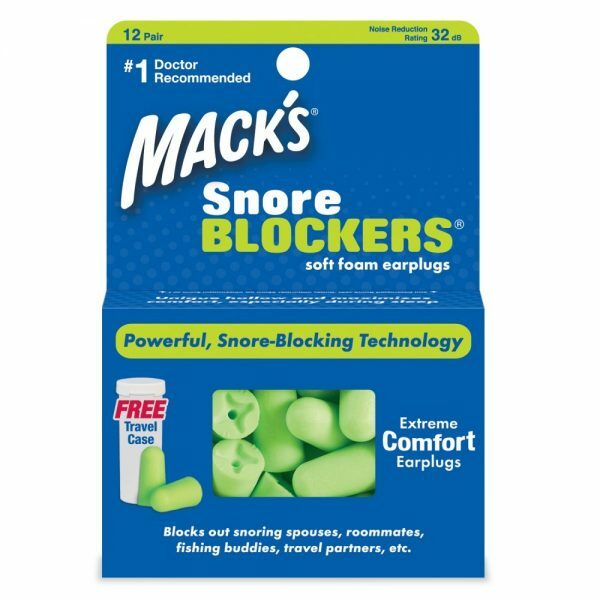 I recently had a weekend away with a friend who snores so I ordered these in the lead up to our trip after a friend suggested this website. What a great idea as I had no idea that earplugs even came in different sizes. I found the pillow softs comfortable to wear, like all the feedback online, I preferred to wear these while we went swimming. My favourites though were the Macks Original. I found these to be the most soft and blocked the most sound for me out of all the earplugs. The green (Snore Blockers), the wax (Pillow Soft) and the pink (Dream Girl) were not suitable for me.. The brown ones (Ultra) block significant noise of metal dropping to the floor, hammering and general steel work noises. Thanks for a great product. I am ordering a pack of 50! My son is a fabricator and works in engineering. Metal is dropped, hammered and cut all day. The plugs at work are hard and hurt his ears. We didn’t know which plugs to trial. The sample pack was a perfect option. The brown ones (Macks Ultra Soft) were the ones which suited him best. They fitted well and were comfortable. Thumbs up to the sample pack and now we know what to order. Thanks for the opportunity to trial. We are ordering a container of 50 as I speak.. He will be sure to credit you with his continued hearing in 50 years. My son is a welder and he has trialled the mixed sample pack. The Pink ones provide the best protection against the extreme noises in the welding and fabrication industry. They do NOT hurt his ears putting them in or taking them out. There is NO ache in his ears. If you work in this industry or any other noisy environment… be a man… and wear the pink! Earplugs are definitely a trial and error thing, because everyone has different sized ear canals. I had no idea what size mine were. I was so happy to try 4 different pairs of earplugs to work out which ones were the best for me, without having to buy lots of different packets of them. So it seems my ear canals are smaller as I really found the Dreamgirls most comfortable and worked best for me. My second favourites were the Pillow Soft.